Social policy is where most citizens actually encounter the state and where policy most impacts peoples’ lives. As such, social policy and, more generally, welfare regimes, deserve a more central place in political science research on the region, as they have in the broader discipline. On April 20, 2018, POMEPS and the Harvard Middle East Initiative, led by Tarek Masoud, convened a workshop with a dozen scholars from around the world to discuss theoretical and policy issues related to social policy in the Middle East. The diverse, multidisciplinary group of scholars at the workshop addressed these questions from multiple perspectives. 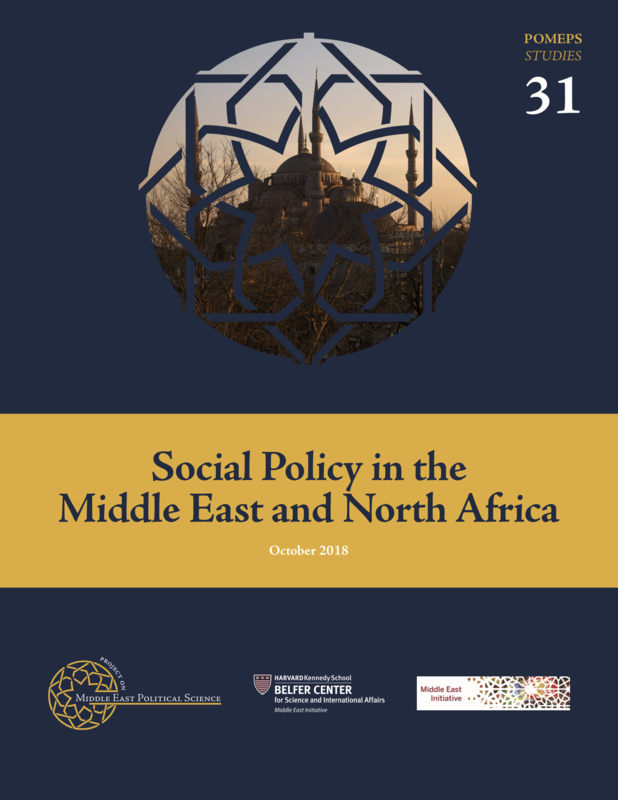 By probing the conditions under which reform occurs or may occur, the essays in POMEPS Studies 31, Social Policy in the Middle East and North Africa emphasize both possibilities for and persistent obstacles to change and underscore the deeply political nature of social policy reform.